The days go past by relatively fast, without much in terms of achievements. Then before I realize it Selena becomes a toddler! As always, no birthday party due to the lack of funds. With Selena as a toddler I change the scheme to taking care of her. Instead of sneaking out for some fishing when Benjamin is home, Samantha continue to stay and teach Selena some necessary skills (like talking, walking, etc.) and once those are taking care of she would read books with her just so Selena has some basic skills later on. Or so was the plan. While Selena is learning some skills I realize there is only one day left until Samantha becomes an adult! Benjamin's paiting skills aren't at level 7 yet, the required level to paint a portrait of another sim. It is almost level 6. Benjamin is very tired but there is no time for sleep! In a pure desperation move I buy a cofee machine so he can keep working on his skill. From that point on he is pretty much chained to the easel, only allowed to have breaks for coffee or to go to the bathroom. He even misses work. Samantha misses her first real day at the Science facility too because of this! This works to get the painting skill to level 6 but the bar just seems to go extremely slow towards level 7. Soon enough all his other needs go down to abysmal levels too, leaving his overall mood on the red. Only hours left until Samantha's birthday! The skill bar keeps going up steadily slow... until he reaches level 7! There might be still time to salvage this! He starts to make the portrait of Samantha! He just needs to finish it before she becomes older. It is too late however. As soon as he begins painting, Samantha becomes an adult. One of the requirements for the dynasty is missed just like that. And so the dynasty ends right there. They celebrate Samantha's birthday but for me it is the sign of defeat. The Fisher dynasty will only exist in dreams now. As I mentioned in my previous post Fishing might not be the best way to start this challenge with. It starts pretty slow as far as money making goes. Any other non-self employed job will give a better initial pay. Plus if your dynasty founder is female it also pays for maternity leave something that self-employment does not. The best option for a career is probably Science since it requires the gardening in the beginning, some handiness later on and at the top levels, fishing. Gardening and Fishing are skills that the founder will need anyway (unless the husband/wife already comes with that or you plan to make them get it) so the founder will already have some of the requisites for promotion. If you want to make things even easier you can also choose the Lifetime Wish "Become a Creature-Robot Cross Breeder" which is one of the promotions in the Science career. The only reason I didn't pursue it from the start is that was exactly what my first Sim pursued back when I started playing The Sims 3. Since I wanted to try new things with this challenge it wasn't an option for me. I don't think Benjamin was a bad choice as far as husband goes. In fact the reason I chose him was for his traits and initial skills. I just didn't consider though that all his initial wishes would be related to socializing (he has the Friendly trait) and handiness! That made it difficulty for me to satisfy his wishes quickly which turned to be a fatal mistake. Had I satisfied them fast he probably would have gotten the "Fast Learner" Lifetime Reward much earlier thus avoiding this end. 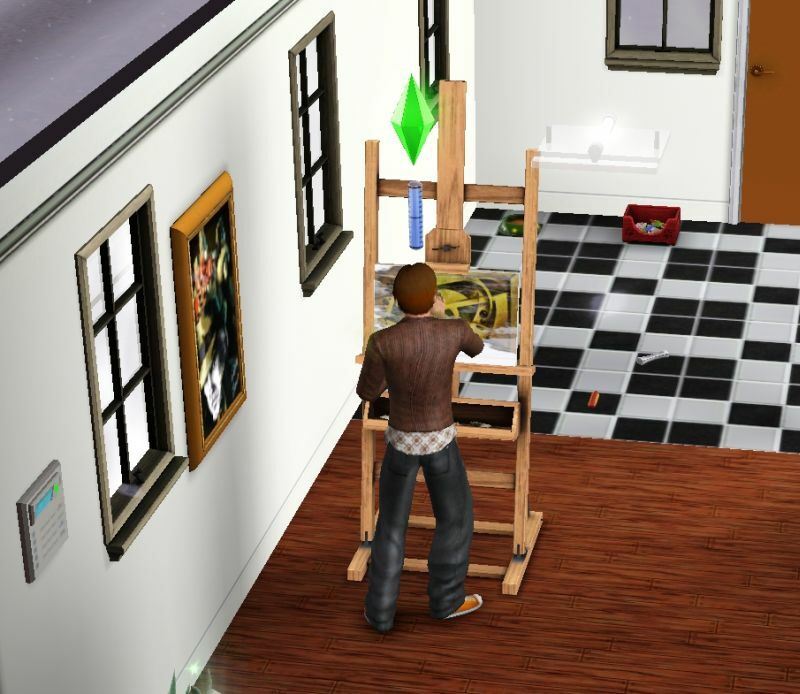 Another possible option would be to get some other Sim that has the Artistic trait or already begins with the painting skill to join the household. I mean, there isn't anything in the rules that states that the husband/wife has to be the one painting the portrait. It is just a good way of lowering overhead to an already very challenging beginning. A husband/wife only required duty is to make a baby. Everything else is left to the player's discretion. I am of the belief that how strict people want to be with their own dynasty is up to personal preference. After all, it is their own private time and their own fun. Although I also thinks it does give me more credibility to one's dynasty if they can stick to all the rules. On this one I let a couple of rules breakage slide because I was doing it mostly to experiment with new stuff while waiting for my usual mods to be updated. But whenever I get around to doing this challenge again I will try to not break any rule. If I do, then it is game over for that dynasty, no excuses. She joined with the sim of my first attempt at the challenge as a room mate at the same place in Appaloosa Plains. And yes, she will marry Benjamin again although this time I won't be mistreating him as much. There just won't be any attempt at a dynasty. They will just live a normal, happy life. Or, again, as normal as a life in The Sims 3 can be! 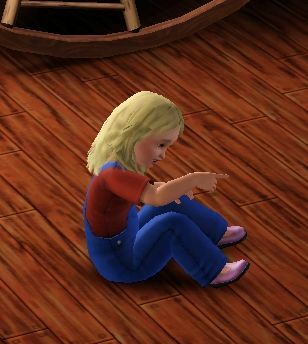 Previous article:[The Sims 3] An heir is born! I am so disappointed! It was definitely fun reading your posts about this challenge, though. I will be waiting for the next challenge to come around! I was hoping it was going to last a bit more too. Perhaps throughout the 2nd generation at least. However this was an eye-opener about how much I have to still to explore about in the game. Before I thought there was "only" some professions, pets, supernatural states and different worlds to explore. With this I realized there is still a lot for me to learn about the game's mechanics too. For instance, I learned a few things on how to boost the skill learning gain. I forgot to mention that in the post but basically it boils to make sure your sim's overall mood as high as possible and use anything in the to do it. I really enjoyed your Sims posts, they're awesome! I had no idea that these challenges existed, but it sounds like fun. I don't think I know enough of the Sims to follow one, though. I didn't even know about death flowers and a lot of stuff that was mentioned in the requirements. Perhaps there are some easier challenges to start with. Anyway, your posts made me want to play the Sims again! I didn't know about these challenges either until I stumbled them while looking for some building guides for the Sims 3. I also didn't know about death flowers either or Life Fruits until I tried this challenge. I think there are some other easier challenges, yes, that are also more open ended. I did even try one that looked easier before this one but found out it was more complicated than I expected (besides I run into a bug that made that save unplayable anyway). Next time I might give a try to one of those other challenges or just try another Immortal Dinasty now that I have more experience and know where I can read about other people's Dinasties if I need some ideas. I think the Dynasty challenge is a bit too hard for me right now, I barely know how the game works anymore. Also, somehow I don't have access to the online shop and stuff anymore (it was really long ago that I bought the game, not even sure which version I have). But if you happen to bump into any easy challenges by accident, please let me know. This sort of got me thinking about the Sims again. Maybe it would even be cool to try the same (not too hard) challenge and see what happens! There is one similar to the Dynasty Challenge, called the Legacy Challenge. It has far less rules and restrictions and the goal is just to score as many points as you can before the 10th generation borns. I haven't done it myself but Stargrace of MMOQuest.com has been doing it. Off-topic: Yes, your comments have been flagged for approval. I am not sure why the spam filter is doing it every time and I will see if there is a way to white-list you or something so you just pass through. If the comment doesn't get approved within a day send me a mail via the contact form, please and I will see if I can find the problem. I wish I could whitelist people who've already written non-spam comments on my own blog, but I haven't seen the option so far on Blogger. That way I could finally allow anonymous comments and feed all those anonymous commenters captchas, whahaaa. Apparently there isn't any way to whitelist people with the spam filter I use (Mollom, in case anyone is curious). Though it is supposed to learn from what I mark as spam and what comments I approve. I could also toggle captcha for the cases it is unsure but I rather not inflict that on people, specially if it is being unsure so often. I will see if I can dig deeper into this. There may perhaps be another solution or I might just give a try to another spam filter. P.S. : It did pick that one out and I am starting to get annoyed at the spam filter too! Bad spam filter! Bad! Alright! No captchas then! I will still investigate dig deeper into this and check the alternatives. It might take a bit of time though since my internet connection has been really unstable the last days, making it pretty much impossible to get anything web-related done!